It's time for another challenge at 613 Avenue Create . 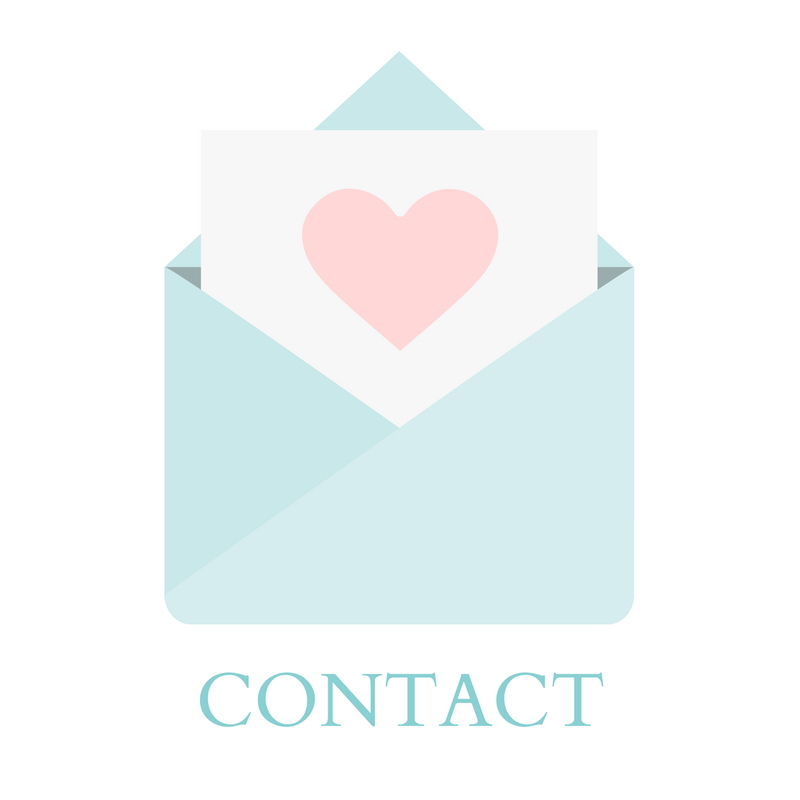 Our twist this week is to incorporate 3 OF THE FOLLOWING SHAPES: heart, arrow, star, octagon, triangle, circle, oval, square, rectangle. The sponsor that I am working with this week is Rick St. Dennis, and I'm working with his fairy stamp called "Pansy". This was a super easy image to color, and I used my eclectic collection of colored pencils to shade her in tones of purple. The paper I've used is the DCWV "Once Upon a Time" Stack. I added a bit of doily under a partial circle cut from one of the papers, and dotted some Liquid Pearls around the edge of the paper. I chose to put my three shapes all into my sentiment. 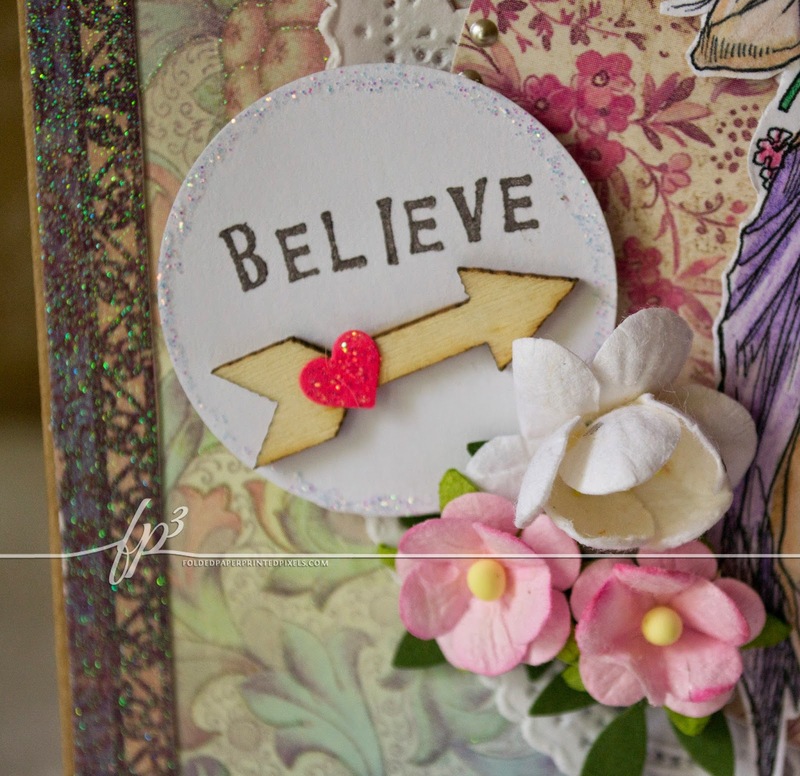 So, a circle punch with "Believe" stamped onto it, with an arrow - topped with a heart punch - pointing to Pansy. I edged the circle with clear Stickles, and added some to the heart shape. For the inside, I used the remnant portion of the doily as well as cut another partial circle from a scrap of paper from the front of the card. Be sure to stop over at 613 Avenue Create and see what fabulous thing my teamies have made this week! She is absolutely beautiful! 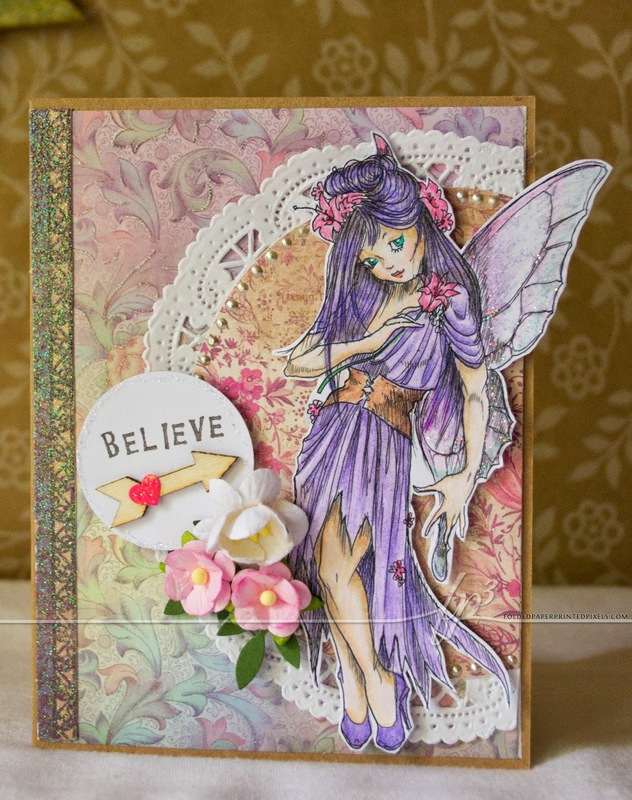 I love the pastel papers and doily you used to back this gorgeous fairy! Fabulous colouring too! 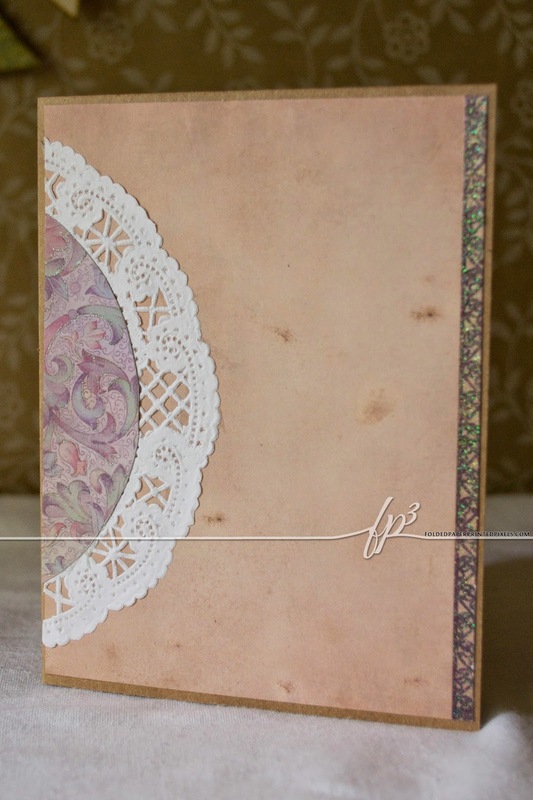 Fabulous card, I love the way you have added the doily with your floral center and the pearls around the edge are great. Your fairy is coloured beautifully. Thank you for joining TTCRD this week. Hey Sara - lovely shading on her dress to create a shear look! 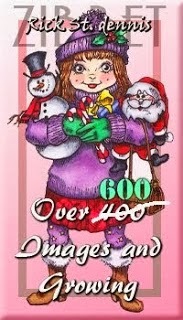 I really like that you fussy cut her and popped her up on that layered background - really beautifully done! fabulous fairy image, beautiful colouring and gorgeous design. 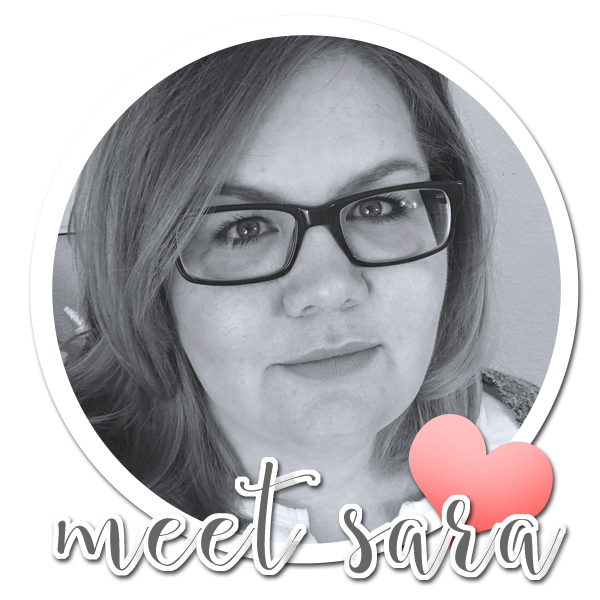 Hi Sara, you've made such a beautiful card. Beautiful - love your colouring.